Do you know how many ways there are to authenticate a painting? Lots. Wikipedia would categorize the methods described in last Friday’s blog post, Authenticating Artwork Computationally, as digital authentication. That category encompasses statistical analyses of digital images of paintings and is the newest bundle of authentication methods, borrowed presumably from signal and image processing. 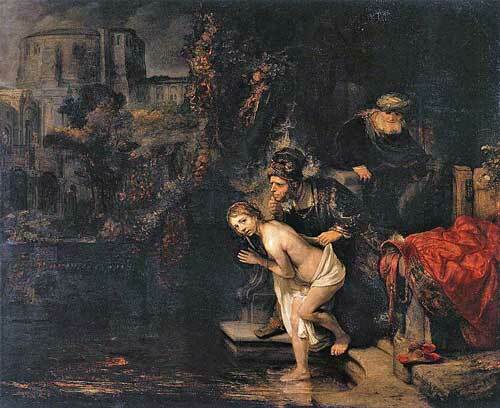 The oldest methods, of course, are examinations by art experts. These methods consider the provenance and every detail of the painting (e.g., brushwork, theme, colors, cracks in older work) as well as observable properties of the canvas or wood, frame, mounting, signature and whatever else might validate or refute the authenticity of the work. On the shelf between digital and expert analyses, there’s a bag labeled forensic authentication that’s filled with continually evolving scientific methods. 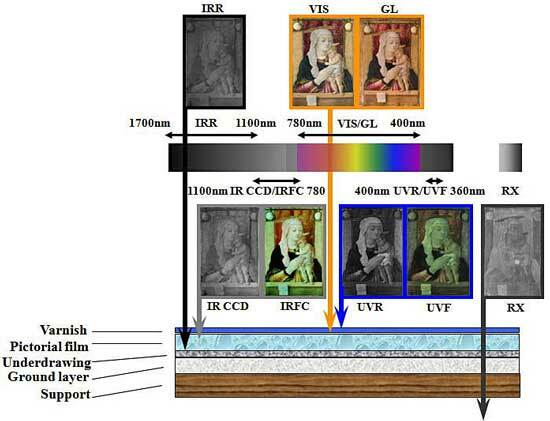 If you reach into the bag, you might grab: radiocarbon dating of canvas and wood; radioactive (radiometric) dating of white lead, one of the most important pigments used especially before the 20th century; x-ray methods (diffraction, fluorescence) to image beneath the visible painting or to analyze the paint’s composition; and in addition to ultraviolet methods (reflectance and fluorescence) to detect surface anomalies and infrared methods for subsurface analysis, other spectroscopic techniques, such as Raman spectroscopy and Fourier transform infrared spectroscopy to identify pigments, binding materials and varnishes and detect anomalies therein. A recent study led by an investigator from the Deutsches Elektronen-Synchrotron, Hamburg, who was formerly with the University of Antwerp, Belgium, offers an illustration of non-destructive forensic methods, though it was not conducted to authenticate a painting. The research team set out to compare methods for analyzing subsurface layers of Rembrandt’s Susanna and the Elders to learn the artist’s creative process. The painting has a wide range of pigments of different chemical elements, and x-ray radiography of the painting in the 1930s showed a number of features had been painted over. Area of painting shown by different images in the next photograph. Building on the earlier x-ray radiography, the researchers focused on two imaging methods: neutron activation autoradiography done in 1994 and scanning macro x-ray fluorescence done for the study. They found the x-ray fluorescence images were easier to interpret. All chemical elements with atomic numbers larger than silicon (14) could be detected; however, the method could only detect bone black, a carbon-based black pigment, on the painting’s surface and would thus miss the artist’s hidden sketches. Although the neutron activation autoradiography could not resolve inter-element interferences as well, it did differentiate certain pigments (e.g., bone black, umber, copper-based greens and blues, smalt and vermilion). It was also the only method capable of visualizing phosphorus, present in bone black, in lower paint layers. 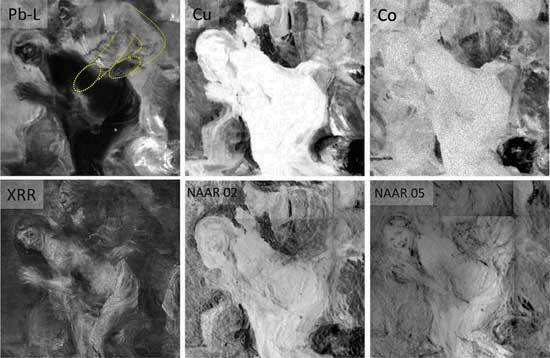 Top: Scanning macro x-ray fluorescence images of lead (Pb), copper (Cu) and cobalt (Co); bottom: x-ray radiography (XRR) image from the 1930s and neutron activation autoradiography images (NAAR) done in 1994. The dotted yellow lines in Pb-L trace the original and final positions of the Elder’s arm. Combining information from the two methods enabled the detection of single brush strokes, an important factor in learning about an artist's technique. A major operational difference between the two imaging methods is that x-ray fluorescence was performed in situ in a few tens of hours, while autoradiography required weeks in a dedicated research facility.